Tountinna is the highest point on the Arra Mountains and forms part of the Lough Derg Way. 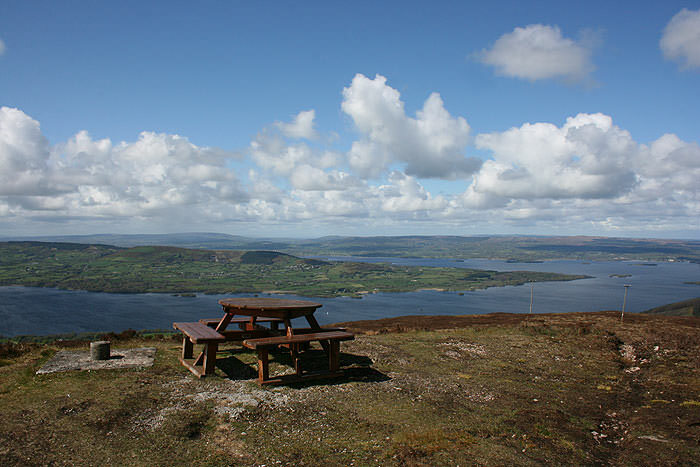 A trip to the summit by foot offers panoramic views of Lough Derg and it’s also possible to drive to the summit taking a righthand turn just outside the historic town of Baliina on the Portroe road. There’s a picnic area at the top to take a seat and see how many counties you can see. Galway, Clare, Tipperary where you’re standing and Limerick are guaranteed on a fine day.